Fall: Certainly nothing “crisp” about fall in Florida. Picture the exact opposite of that. The week before my 24th birthday I went home to pick up my brother Paul to bring him to Atlanta so that we could make the drive up to our grandparents house in North Carolina together the following weekend. 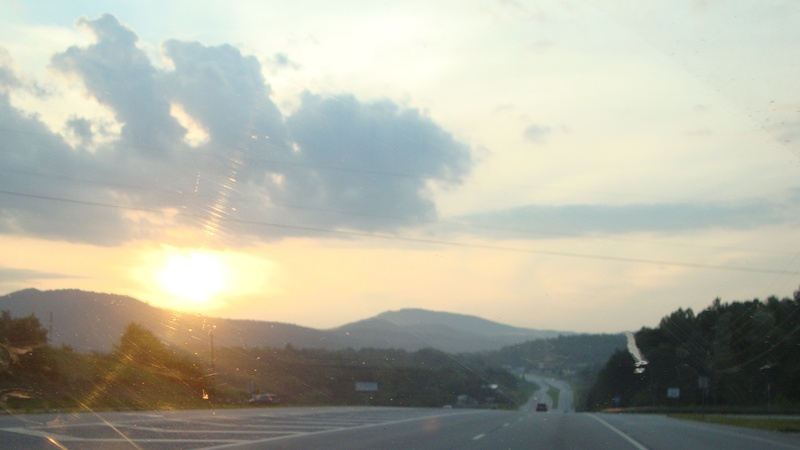 On the drive up we took in the beautiful sunset over the hills of north Georgia. 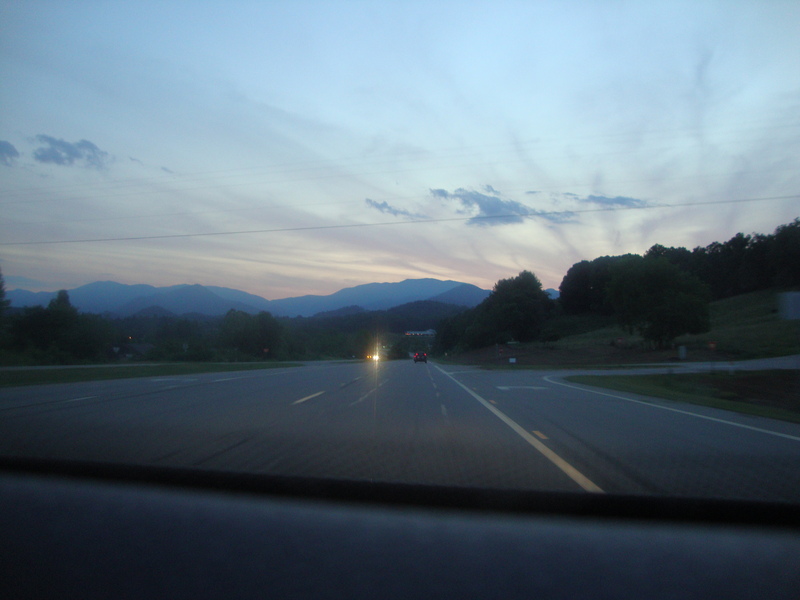 I had Paul take this picture through my windshield, so it didn’t come out as well as I’d have wanted. My camera doesn’t do it justice, but this was really pretty too. Once we got into the mountains, the weather cooled off significantly. 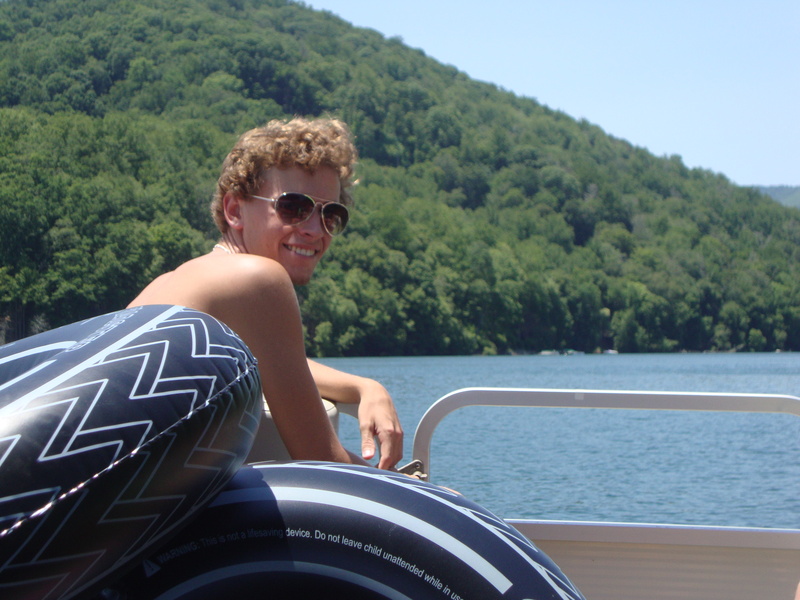 We spent the next day out on Lake Nantahala on a pontoon boat that could precariously hold eight people. We had nine and an 85 pound dog. Paul and the tubes on the pontoon boat. We decided that it was a battle-worn, weather-beaten army tank and needed a missile launcher in the front of it. Then, of course, the only logical step was to light the missile launcher on fire. 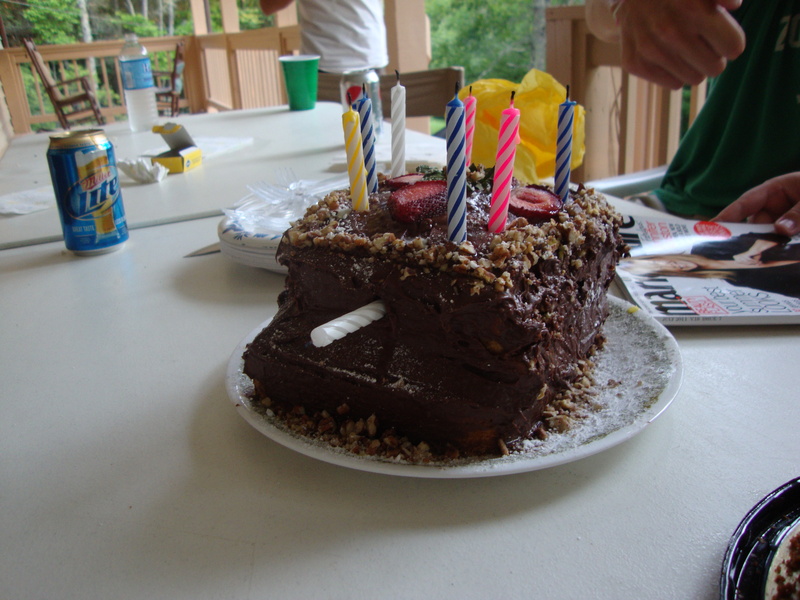 All in all, it was a good birthday: family, the mountains and a missile-launching birthday cake. This entry was posted in Food, Travel and tagged ball sweat, hot weather in Florida, how to sink a pontoon boat, Lake Nantahala, missile-launching birthday cake, sunset on the hills of north georgia by Sarah. Bookmark the permalink. Just f-ing amazing, you guys freaking rock for thinking of a tank cake! 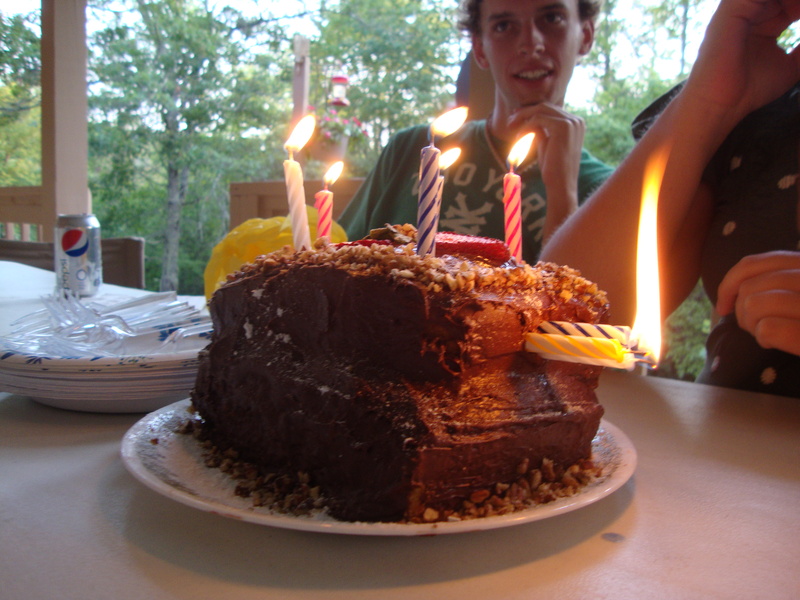 Best new cake idea ever…mwahaha. 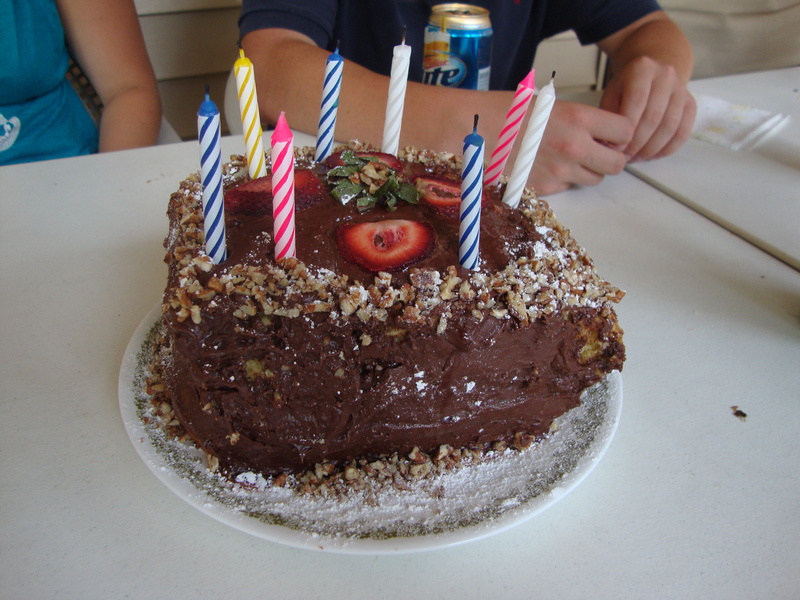 To get to eat my cake and launch all my missiles at once! Yeah, it’s that awesome. Thanks, Catherine. In the age of cupcakeries and Pinterest that we live in, we thought it was a tasteful and elegant touch.